Break into song with the Mariachis and hail a toast amongst los amigos! There is no shortage of fiestas happening all across the Americas this weekend. 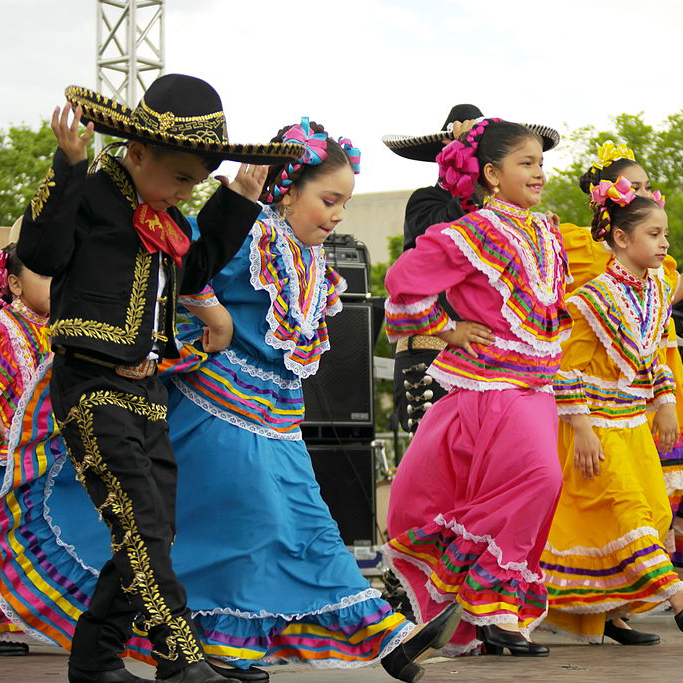 Cinco de Mayo is a celebration of Mexico’s triumph over French invasion in the 1860’s, making this a big ol’ celebration of freedom! As designers, we are all about that so let the creativity roll! We love the food, the low strum of a guitarrón, and the dancing, but most of all the color! We put together this festive materials palette inspired by the traditional bold costumes of Mexico. 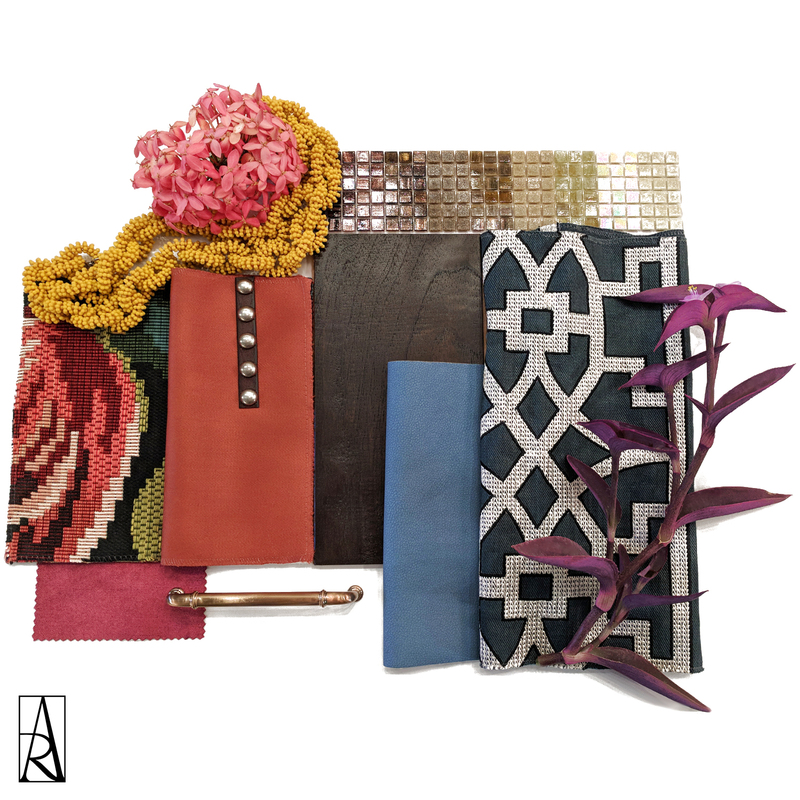 Vibrant hues of pink, yellow and blue are accented by embroidery and metallic details. Most traditional garb is made out of light, breathable fabric like cotton. Silks and wools were later introduced through Spanish colonization. Ornate embroidery with intricate patterns decorate the more formal gala-worthy dresses, often personally designed to carry symbolic meaning for the wearer. The Charro-inspired men’s suits also have personalized embroidery accented by silver buttons know as botoneria. This visual color feast leaves our designer hearts saying “¡Olé!” with pasión, sizzle, and a little bit of La Vida Loca!